Power, looks and multimedia performance -- they're in perfect harmony with the easy-to-use new VAIO E Series of multimedia notebook computers from Sony. Compact and easy to carry, stylish new VAIO E Series boasts many features that you'd expect to find on bigger, bulkier notebooks. Beautifully designed to look great in your home or on the move, VAIO E Series makes mainstream computing brilliantly affordable. Delivering all the processing power, graphics muscle and easy-to-use productivity features you need, it's a great value way to enhance your digital life. 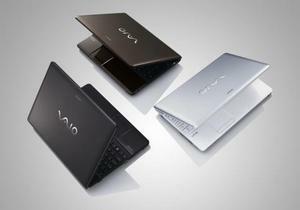 Brand-new VAIO E Series is packed with luxurious design touches that add to its premium feel. The high-contrast VAIO Display is bordered by an extra-narrow bezel, boosting available screen size while adding to the new PC's desirable looks. Despite its compact chassis size, the new E Series features a responsive, full size keyboard with isolated keys for comfortable, positive typing. For the first time in a VAIO notebook computer with such space-saving dimensions, the keyboard is enhanced further by a full-sized numeric keypad. Ergonomically laid out with evenly-pitched columns, it's a pleasure to use -- whether you're gaming or entering long lists of data at speed. Inside every VAIO E Series you'll find the all-new 2010 Intel® Core™ processor family, partnered with up to 4GB of high-speed DDR3 memory to make light of everyday computing tasks. And with up to 500GB of hard disc capacity on board, there's plenty of space to store your personal media collection. Complemented by up to 1GB of video RAM, all-new ATI Mobility Radeon™ 5000 series graphics handle image editing, HD movie playback and media-rich web sites with ease. Whether you're editing photos or just browsing the web, you'll enjoy a high-contrast, detail-packed picture on the generously-sized 39.4cm (15.5") VAIO Display. Selected models feature VAIO Display Plus with 1920x1080 resolution for a breathtaking view of Full HD video clips or images from your DSLR camera. A thrilling home cinema experience is enhanced further by latest Dolby® Home Theater v3 for a powerful, immersive soundtrack with music, games and movies. Despite its compact footprint, there's no shortage of connectivity options. An HDMI output adds an extra dimension to enjoying your HD media collection on a connected BRAVIA™ TV. Three side-mounted USB ports are joined by a fourth high-speed eSATA/USB port. Hook up an external SATA hard disk drive to enjoy super-fast file transfers up to 6x faster than via USB2.0. It's a far more efficient way to back up your media files or edit video on an external drive. Alternatively, use the additional port as fourth USB connection if you don't need eSATA just yet. Despite its powerful features, new VAIO E Series delivers a computing experience that's even more convenient and reassuring. Just press the WEB button and you'll be surfing within seconds, without even needing to boot up your PC. Saving time and battery power, it's perfect for casual surfing or checking e-mails while you're on the move. New Quick Web Access now goes even further with multiple tabbed browsing and a new 'split window': click a button to browse two web pages side-by-side on the wide 16:9 display. Quick Web Access is enhanced further still with the integration of Evernote for VAIO. This easy-to-use 'web clipping' tool keeps track of anything that interests you while you're browsing. Click on text, pictures or whole documents as you surf: Evernote automatically tags, sorts and saves them remotely. Then view your personal collection of indexed 'clippings' from any PC or even your mobile: it's a great way to keep track of all the stuff you find on the web. A dedicated ASSIST button gives one-touch access to VAIO Care, helping maintain, diagnose and troubleshoot your VAIO with just a few clicks. Even when Windows won't boot properly, just press the ASSIST button and VAIO guides you through diagnostics and fuss-free resolution of problems. Unique to VAIO, there's also a choice of applications by Sony to help you enjoy your personal media collection. Launched with a touch of the front panel-mounted VAIO button, Media Gallery makes it beautifully easy to explore your music, photo and video collection. It even offers helpful choices based on your personal browsing history and preferences. New PMB (Picture Motion Browser) VAIO Edition lets you manage, edit and share video clips and photos. Every new VAIO E Series comes shipped with Genuine Windows® 7 Home Premium Edition for an intuitive, streamlined computing experience. Ordering online from Sony Style Store (www.sonystyle.eu) lets you tailor the new VAIO E Series to suit your personal needs. There's a choice of exclusive colour finishes (glossy white and glossy pink), plus the chance to configure up to 6GB RAM. Also available as an option, a Blu-ray Disc™ writer/reader burns the largest media collections to disc for sharing or safekeeping. The new VAIO E Series of multimedia notebook computers by Sony is available from the end of February 2010. Sony Europe is constantly rethinking and re-evaluating its products, processes and potential impact on the planet. Sony is a leading global innovator of audio, video, communications and information technology products for both the consumer and professional markets. Sony is renowned for its audio-visual products, such as the BRAVIA™ LCD high-definition television, Cyber-shot™ digital camera, Handycam® camcorder and Walkman® MP3 player as well as its VAIO™ personal computers and high-definition (HD) professional broadcast equipment, highlighted by the XDCAM® HD. Offering a complete end-to-end HD value chain and with its electronics, music, pictures, game and online businesses, Sony is one of the world's leading digital entertainment brands, employing approximately 170,000 people worldwide. "Sony", "WALKMAN", "VAIO", "Cyber-shot", "Handycam", "BRAVIA" and "XDCAM" are registered trademarks or trademarks of Sony Corporation. All other trademarks or registered trademarks are the property of their respective owners.